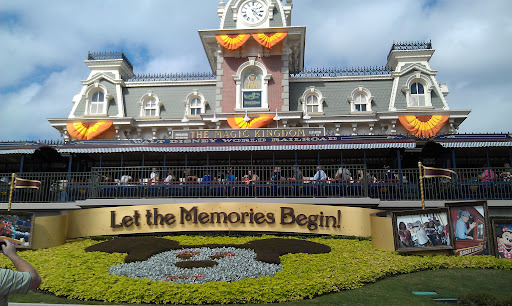 Laughs & Rants from My Inner Child: Welcome to the Magic Kingdom! It's a gorgeous day! Sun is out after some clouds and a breeze to keep things from bring hot. We have the Halloween party tonight and well do the big rides then. We tried the new Sorcerer game which was fun, but we got thrown off early and needed lunch. We got an eggroll and tried to see the new Fantasyland, but no soft opening yet. Did see Dumbo and Barnstormer which are nice. Still think they should have done a full Toon Town with new rides line Assn Epic MIckey adventure.We are going to try to see Fantast Land new area later.